THE LATE SENATOR Strom Thurmond was famous—some might say infamous—for a good many things, including a marathon filibuster against the Civil Rights Act, but the South Carolina congressman’s most lasting contribution may be the two words found on every bottle of wine sold in this country: Contains Sulfites. This back-label notification has led to a great many misunderstandings among those who attribute health problems, primarily headaches, to sulfites in wine, specifically red wine. Over the years, I’ve received many letters from readers lamenting the headaches they’ve suffered due to their alleged allergy to sulfites. 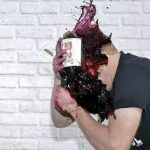 Often as not these readers wrote in the hope that I could recommend a “sulfite-free wine.” Alas, I could not, since there is no such thing as wine completely free of sulfites, which are inorganic salts produced as a byproduct of the fermentation process.